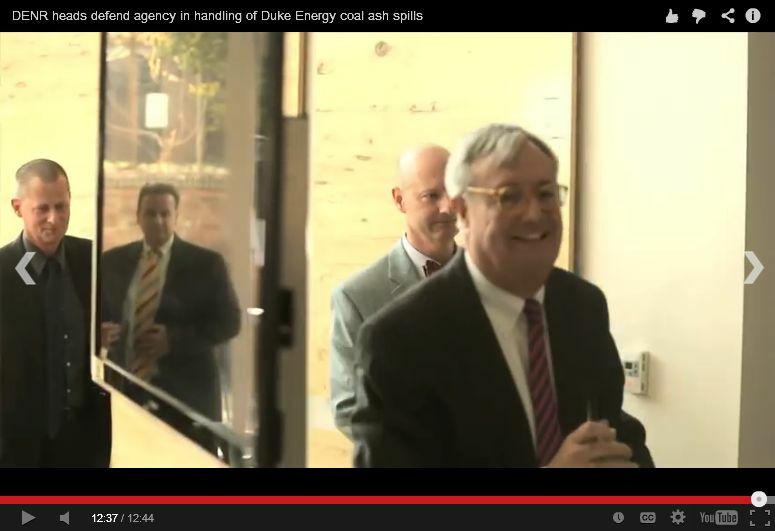 DENR Secretary John Skvarla grimaced his way through a February 19th press briefing on the Dan River coal ash spill. Only as he walked smartly away from a clamoring press corps, which was chagrined at the briefing’s premature cessation, did he crack a smile, followed by a smirking Tom Reeder, his Water Quality Man Friday. They had promised a press conference that would last as long as there were questions to be asked, but Michael Biesecker of the Associated Press had apparently asked one too many. A disconsolate Skvarla famously urged his besieged staff to “smile, be happy, have fun and enjoy the process – because if we can’t do that we’re all doing the wrong thing”. He even urged them by email to include it as a measurable goal in their Employee Performance Plans. By any public measure Skvarla is failing miserably in this category, though to be fair he and other political appointees may sit around privately laughing at the sorry state of North Carolina’s eroding environmental protections. Skvarla’s oral fixation manifested itself early as he visited DENR’s disparate divisions and offices to get to know his new underlings. He surprised some managers in conversation with his personal affectation for tooth brushing after lunch, which he claimed put a whole new shine and invigorating outlook on the rest of the working day. 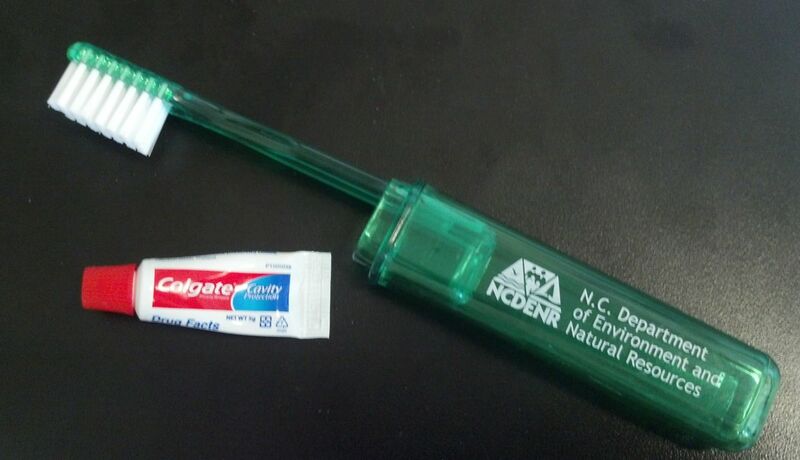 It might have been dismissed as personal quirk except that later in the year at a DENR leadership training session, after regaling managers with his life story, personal leadership credo and management mantras, he had staff distribute toothbrushes emblazoned with the DENR logo along with toothpaste for the purpose of invigorating the latter half of every work day. The inner cynic thinks this was dreamed up, Mad Men style, over mid-day martinis, but it’s entirely plausible that regular preventive maintenance can lead to a better and more productive work environment. Perhaps we could all learn from Skvarla’s happy teeth. Perhaps this could apply equally to the natural environment. How hard could it be? Because, if we can’t have a better natural environment “we’re all doing the wrong thing”. This entry was posted in Politics, Public Policy and tagged coal ash, DENR, Duke Power, Environment, John Skvarla, Michael Biesecker, NCGA, Pat McCrory, Tom Reeder. Bookmark the permalink. ← Is Tillis Betting the Farm?